Mariucci has in the past retweeted Tomi Lehren with praise for her. He's taken subtle jabs at Kaepernick. 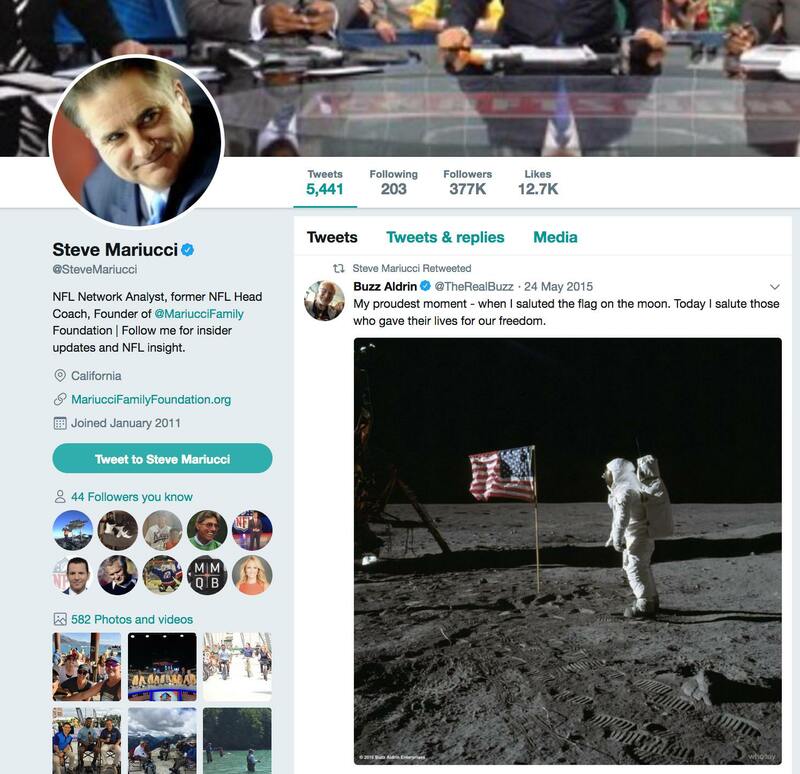 So tonight, I noticed him retweeting the planting of the flag on the moon tweet. I bet he would like a piece of the sweet settlement Kap is going to get. The Good Old Boys colluded and they know it.